It’s so nice to meet other bloggers from other places and do some awesome collaborations. 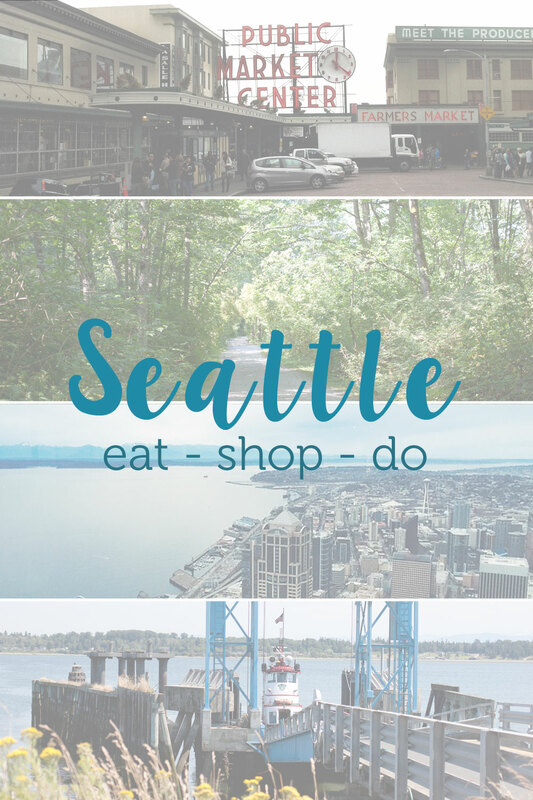 When I decided to start my Eat, Shop, Do series I thought what better way than to collaborate with some of my blogger friends and in the process learn more about them, where they live, and share with all of you their go-to’s in their city. For the next post in this series were headed to Seattle! 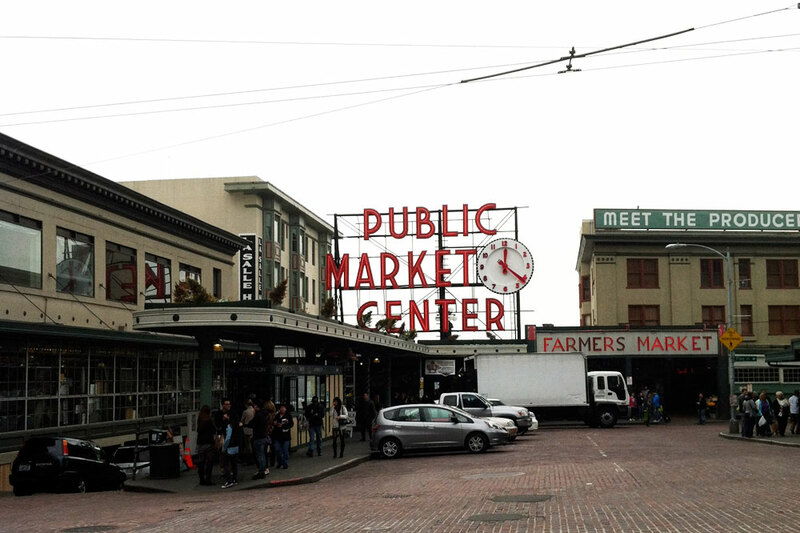 Pike Place Market ($) – When I want to sample all sorts of cuisine, I head to Pike Place. From samosas to donuts to cheese, Pike Place really has it all. I like Beecher’s for their World Famous Mac & Cheese, Piroshky Piroshky for delicious Russian savory or sweet pastries, or Le Panier for espresso, croissant, and macarons. Local 360 ($$) – If you want quintessential Northwest homestyle fare, Local 360 is a good bet. They source the majority of their ingredients within 360 miles of the city, so you’re sure to have a fresh and tasty meal. 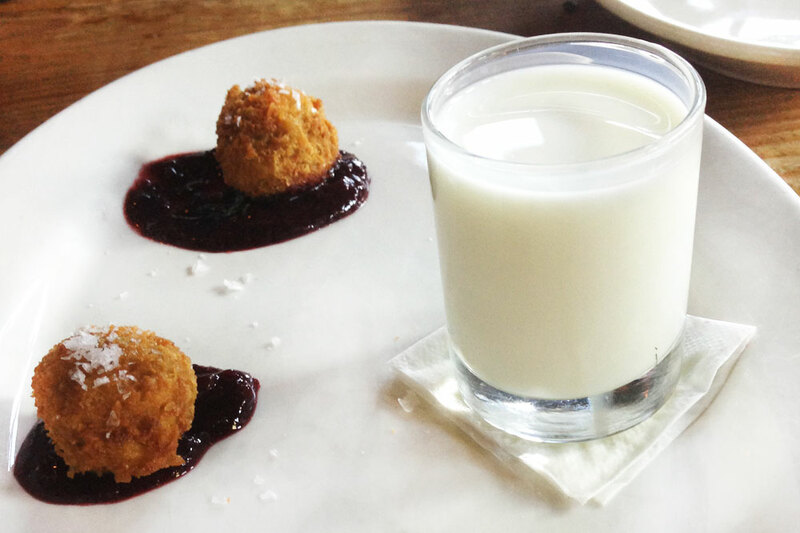 For dessert, don’t miss the PB&J bon bons. Canlis ($$$-$$$$) – Canlis is one of the only, if not the only, coat required restaurants in Seattle. If you’re looking to indulge in a fancy meal, the view from Canlis and the Duck a la Orange can’t be beat. Pike Place Market – I know I just mentioned this one, but how could I not mention the largest year-round Farmer’s Market? Pike Place brings together artisans and farmers to bring you tons of great stuff like fresh flowers, honey, jewelry, clothing, and more. University Village – Located in the University District, University Village is a shopping destination. Indulge your sweet tooth at Trophy Cupcakes or Molly Moon. For furniture, Room & Board and Crate & Barrel are just a few steps away. From boutiques to big name stores, H&M to Anthropologie to Mercer, you’ll be set to shop til you drop. And if you’re hungry? There are some great options there too. Din Tai Fung is a favorite for Dim Sum, but be prepared for a wait on weekends. Seattle Premium Outlets – For all the bargain shoppers, this is the greater Seattle area’s largest outlet mall. If you’re staying downtown, it’s a bit of a trek north (about 45 minutes) but there’s also a ginormous casino nearby for gambling fans. Seattle Great Wheel – The Space Needle is an obvious choice, but new in Seattle is the Great Wheel at Pier 57. Take in the pretty views of the sound during your ride. When you get off the Ferris Wheel, don’t miss the Ye Olde Curiosity Shoppe (temporarily closed until July 2015) and get your seafood fix at Ivar’s Fish Bar. Seattle Parks – For those who want to take in the outdoors, you can’t miss our beautiful beaches and parks. I personally am a huge fan of Alki Beach, but Seattle boasts some beautiful parks. Discovery Park, Golden Gardens, and Marymoor Park on the Eastside are all excellent choices. 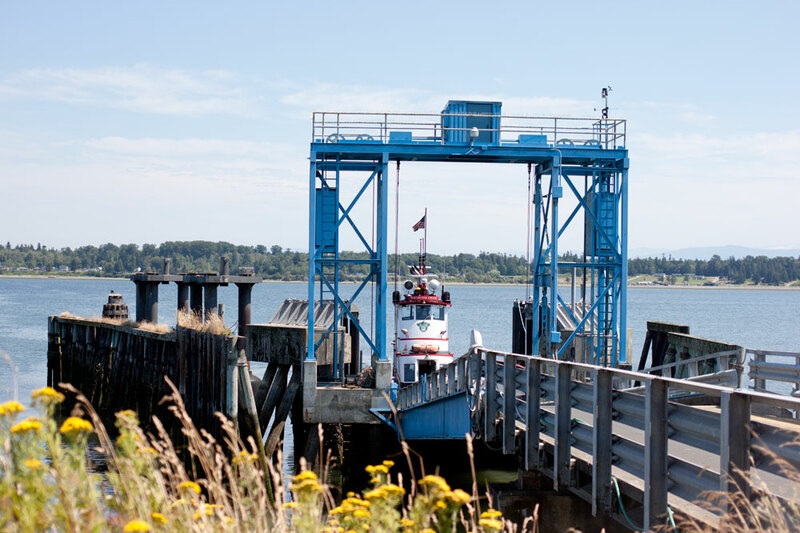 Hop a Ferry – Take a fun day trip to one of our many islands. Drive up to Mukilteo to take a ferry to Whidbey Island, go to the Peninsula from Seattle or Edmonds, go north to the San Juans, or head to Vashon or Bainbridge from Seattle. Each island offers a unique set of activities and dining options. For more fun adventures in the greater Seattle area, don’t miss my travels to Lummi Island and Bellingham, Washington! Hope to see you in Seattle soon! I hope you enjoyed this weeks post and hope you will continue to check back in to see where we’re headed next!